Bus Finder is an Android app which aims to make Melbourne (and regional Victorian) bus routes easier to find. It received runners up in the 2015 VicTripathon competition, for best improvement to user experience (any PTV dataset). 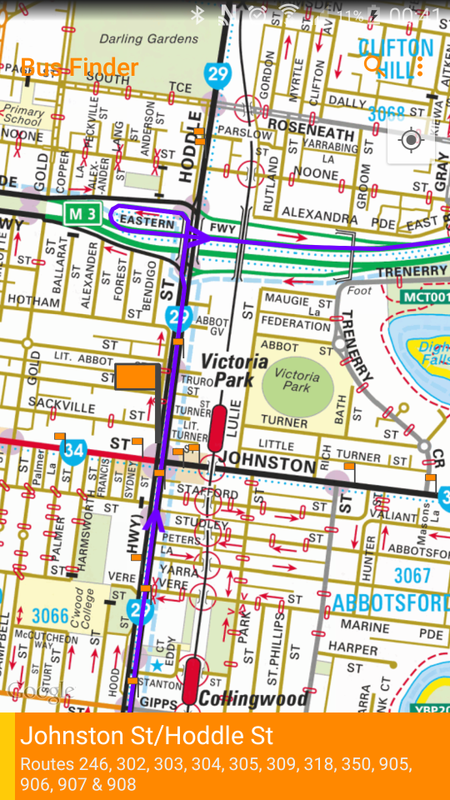 VicTripathon was a Victorian transit app incubator, run by CODE FOR AUSTRALIA, COLLABFORGE, NICTA, OPEN KNOWLEDGE AUSTRALIA & OWL VENTURES in collaboration with PTV. The competition entry is here.